In the past ten years there has been a tremendous amount of research and information published that confirms the beneficial effects of daily meditation practice and how it creates a powerful physical, mental, and emotional sense of peacefulness and clarity. This heightened state of consciousness awakens our wise, aware, intelligent, and intuitive Self. In addition, the cognitive and psychological benefits of meditation enhance our ability to successfully navigate the challenging moments that persist throughout the day. We have observed that not only does a meditation practice create a greater sense of fulfillment and satisfaction but it also decreases our dependency on external and sensory experiences that only provide a momentary experience of satisfaction. For over four decades we have been involved in a daily practice of meditation. Our meditation experiment has included study, research, and sharing the many benefits with our students, clients, family, and friends. We are excited by the practical application of meditation in our life. 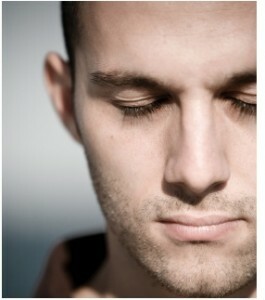 Establish a comfortable seat for yourself and begin to breathe deeply and slowly through both nostrils. As you continue for one minute just notice and pay attention to the movement of the inhalations and exhalations. That’s it – just watch your breath flow in and out of your body. How easy is that? Well, soon you will notice that the mind has some difficulty just staying focused on the breath. It will jump from place to place like a puppy wanting attention. As often as your mind wanders, just gently go back to watching the breath. After one minute, notice the difference in your physical, energetic, and mental state. Repeat this exercise a few times per day until you can sit comfortably for two minutes… and then three minutes… until you eventually notice that your mind has become quieter and more focused. Many of our clients and students have reported that their memory improved and they experience an enhanced ability to remain calmer under stress. Check out our FREE guided meditation videos! Sign up below and we’ll email you a couple of videos to help you de-stress, re-centre, and gain peace of mind. Weekend Meditation Retreats including hatha yoga, breathing exercises, discussion and instruction (for beginners and more advanced students).